Guarded optimism continued to be the mantra of crude traders on Tuesday, who although were responsible for causing a minuscule drop in benchmark prices still kept them hovering near 2019 highs due to their faith in the efficacy of the Organization of the Petroleum Exporting Countries' (OPEC) production cutbacks and their possible extension beyond June. 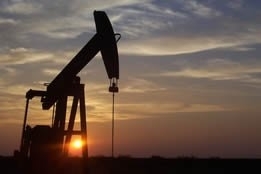 West Texas Intermediate declined 4 cents to $59.05 per barrel, close to the 2019 high of $59.23 reached the previous session; Brent dropped 6 cents to $67.48 per barrel, less than a dollar shy of this year’s high of $68.14 achieved last week. Esparza was referring to production and storage data due to be published by the U.S. Energy Information Administration. There was debate on Tuesday as to whether crude's relatively strong showing over the past week is tantamount to a legitimate comeback: Jim Iuorio, managing director of TJM Institutional Services, told CNBC that crude is at "a 38 percent run since the December 24 low," and that there might be a slight pullback before another upswing takes place; Brian Stutland, founder of Equity Armor Investments, said that as long as the stock market continues to move higher, so too will oil. If the easing of geopolitical tension is another driver of trader confidence, then presumably prices will continue to strengthen thanks to the latest initiative from U.S. president Donald Trump, who it was disclosed on Tuesday is granting Iraq a renewed 90-day waiver exempting it from U.S. sanctions on Iran. The decision was made a week after Hassan Rouhan, president of Iran, made his first official visit to Iraq and signed over a dozen treaties to expand trade and infrastructure ties between the two countries. Another disclosure that could affect trading sentiment is a Council of Economic Advisers annual report released by the White House Tuesday positing that despite Trump's irritation over "artificially" high oil prices, "higher oil prices would, on average, help the U.S. economy” if the country "becomes an annual net exporter of petroleum." It added, “In this case, the net gains for producers, and to their private partners that own mineral deposits, would outweigh the higher costs for consumers; such a change would have a number of important policy implications." Gasoline has already had its rally, says analyst.